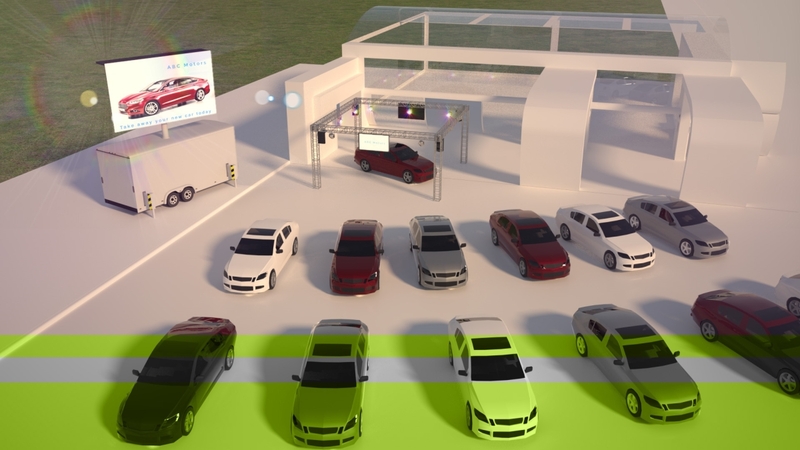 AV Technology For Car Showrooms that sell! Introducing audio visual technology into your showroom can have a dramatic impact on sales and perception of quality. Find out how Showcase AVi have been transforming forecourts and showrooms with advanced digital and AV solutions. A well-positioned large mobile screen will undoubtedly attract people’s attention and encourage footfall into your showroom. Use the screen to advertise new car models and new car registrations or up-sell servicing, valet or car hire services to passing customers. You may already use static hoarding to advertise promotions, however passers-by will get used to these hoardings and stop reading the content – digital content is proven to be the most positive investment for return investment and saves on-reprinting branding for any updates within the dealership. 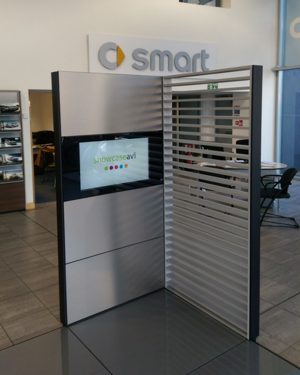 With a mobile screen you can move the position regularly and all our screens come with a fully 180 degree mast to enable moving the display quickly and without any disruption to the dealership. With prices starting for a 10m2 screen at £1,680* per day** (our screens go up to 88m2) it could be the perfect way to increase interest and subsequent footfall into your showroom. **Higher rates are based on a one day hire/4 day week/16 day month. Use a lighting rig to highlight a particular area of your showroom. 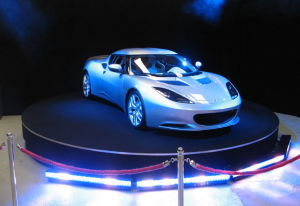 Lighting and effects make a great way for any launch event and model reveal. All our lighting is LED and fixes to temporary independent stands or truss sections. The aluminium truss sections allow a high profile feel and because they are modular they easily make any shapes from circles to cubes, you name it…… we can design and build it!!! All equipment can be hung from these truss sections. Drapes can even be hung from the rig to allow you the opportunity to “reveal” what is underneath at an event or grand opening. Whilst a lighting rig can be used as a type of set or back drop, what better way than elevating the car model you are promoting on a branded, professional stage. The area can be set with other features such as lighting, audio and digital signage or the stage can simply speak for itself! Want to get out a message across your forecourt and perhaps even further?! A PA system can help to give you that extra bit of exposure. Use it as part of an event or during a promotional weekend to draw customer’s attention to new car models, new car registrations, servicing offers and valet or car hire services. Digital signage is increasingly being used by retailers to display advertising content such as messaging or videos with the aim of delivering messages to consumers at a specific time and location. Digital signage uses LED technology, offering a premium platform to bring your showroom to life. We have installed digital signage at premium motor retail establishments across the UK including Mercedes Benz and Audi. 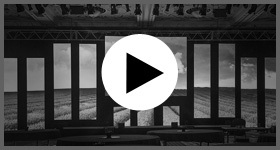 We take the time to understand your outdoor AV event. We want to provide you with a solution that works for you, so gaining an in depth understanding of what you need to create your perfect event becomes the cornerstone of our service. We provide incredible solutions. Our equipment is of the very highest quality and we can provide durable kit for even the most adverse of weather conditions. What’s more, we provide professional technical support throughout the event. We have great experience. From working with top charities like Cancer Research UK, to blue chip companies like Audi and Mercedes Benz, we know that we provide great solutions for outdoor AV events, no matter the occasion. 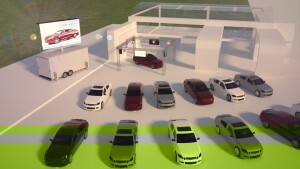 Need help with planning technology in your showroom?